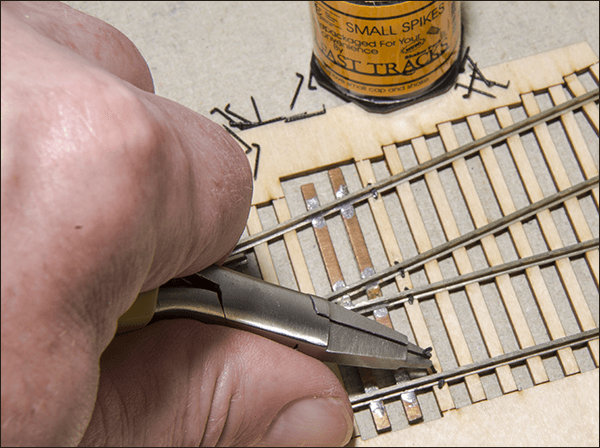 Specially designed for trackwork built with Fast Tracks assembly fixtures, QuickSticks laser cut ties lets you construct fully complete, ready-to-run HOn3 3-ways right at your workbench! 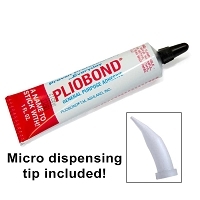 Drilled QuickSticks ties let you use Pliobond or nails. 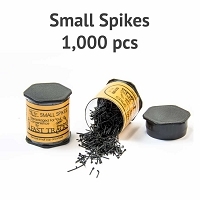 A very good way to initiate yourself with spiking down rails. 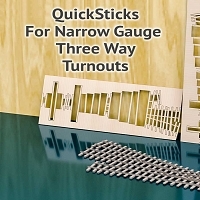 Default Turnout Length 10.3" (261.6mm) This is the length of the 3-Way on the QuickSticks. Measured from end tie to end tie. 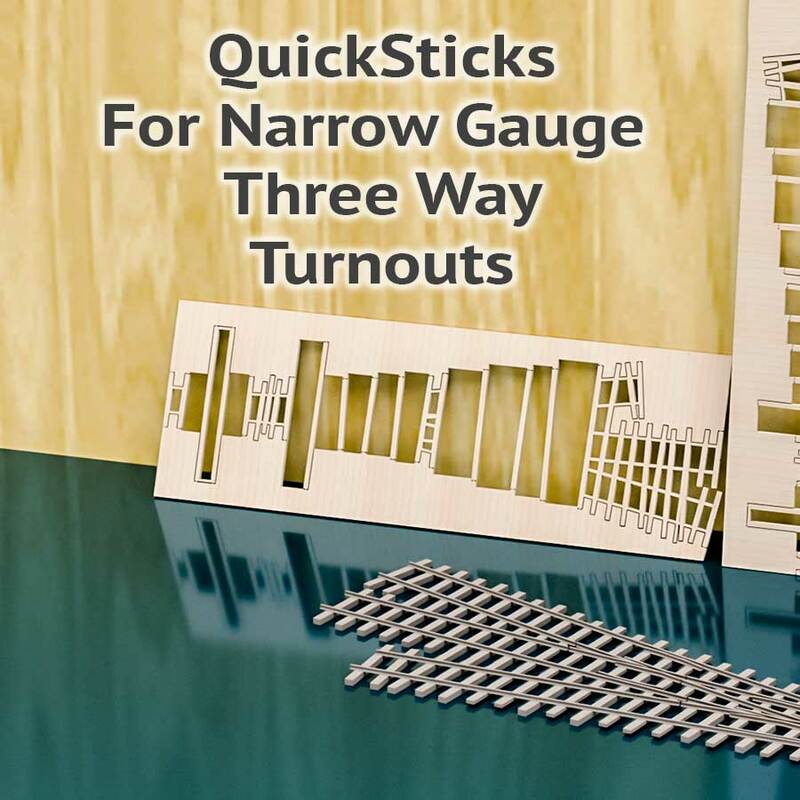 Minimum Turnout Length 7.2" (182.9mm) This is the shortest possible 3-Way length. 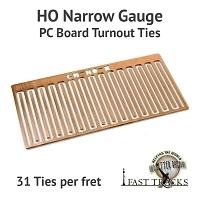 Measured from the end PC board tie to end PC board tie. Diverging Route Radius 28" (711.2mm) The minimum radius in a straight turnout.